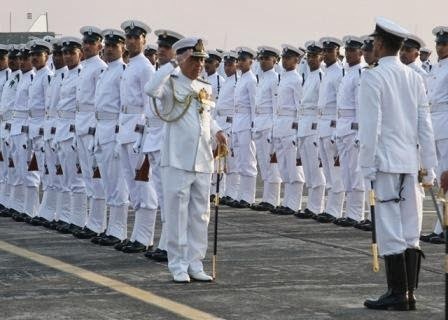 Indian Navy Latest Recruitment for Sailor AA Post 2014 | Latest Jobs 2014:- The Indian Navy has recently invited applications for the recruitment to the posts of Sailor Artificer Apprentice 137 Batch. The Course for the post will be started from Jan 2015. So now all the interested and eligible candidates can apply for the Sailor Posts before the last date of online application submission. Check below for more details about the recruitment. Last date to apply online: - 20th June 2014. Last date to receiving of Applications: - 27th June 2014. Post Name: - Sailor Artificer Apprentice (AA). Educational Qualification: - Candidates should have passed 10+2 with 55 % Marks with Physics and Mathematics subjects. Age Limit: - All the candidates to be born between 1st Feb 1995 to 31st Jan 1998. Pay Scale: - 5200/- to 20200/- with Grade Pay of Rs. 2000 with other allowance. How to apply:- All the candidates can apply through online by the official website of Indian Navy before the last date of application submission. And then take a print of the applications and send it to the Indian Navy address before the last date. The Address is: - Post Box No. 476, Gol Dak Khana, and GPO New Delhi- 110001. The official website of Indian Navy is: - www.nausena-bharti.nic.in.